We are glad you stopped by! 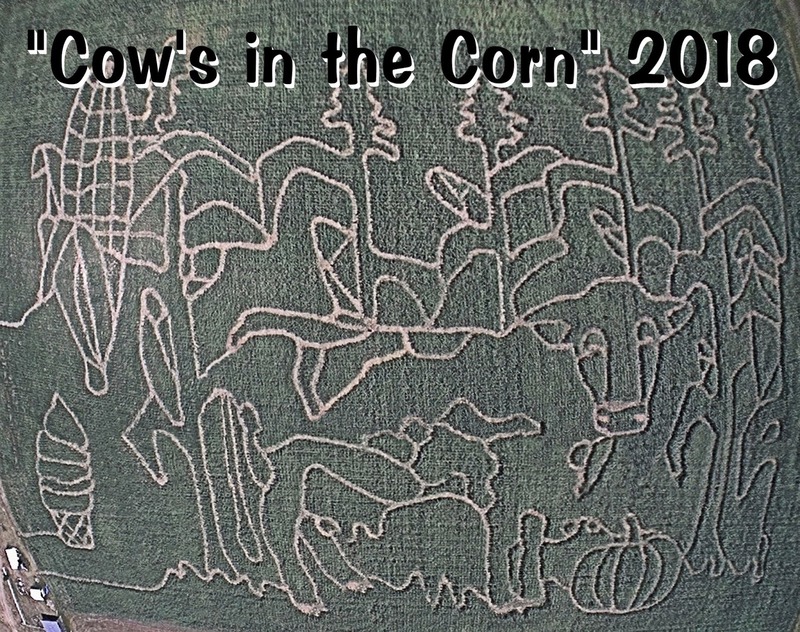 This was our 10th season with the maze, "Cow's in the Corn"! Well, the 2018 maze season is officially over! Thank you so much for coming out and supporting us even though the weather was less than perfect! We love all of our guests and look forward to next year!! Large Group Rate - $5.00 per person for groups of 30 or more or minimum of $150.00 for groups less than 30. Must be prearranged. 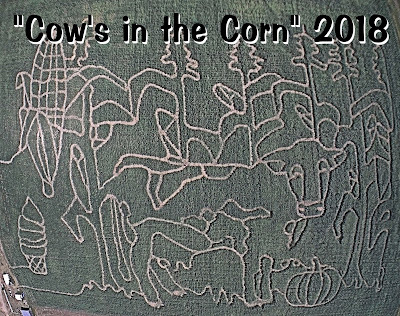 Admission includes the corn maze, farmyard activities, hayride, and campfire. Admission includes as many trips through the maze as you desire, hayrides, bale castle, mazeyard activities, campfires, and more!